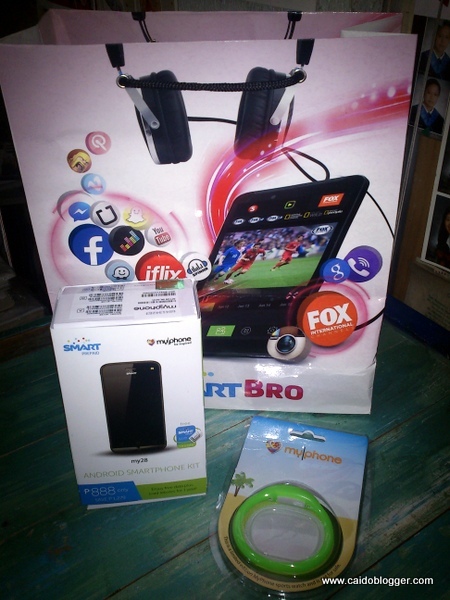 The Android Smartphone Kit is Smart Prepaid’s smartphone bundle composed of MyPhone My28 with Smart Prepaid SIM loaded with special freebies for only P888. This offer was not available here in Dagupan City, but I was able to avail thru Smart Online Store last January 8 and was delivered just a week ago. The MyPhone My28 comes with a Smart Prepaid Sim packed with FREE 100MB mobile internet per month for 12 months and P30 load rebate for a minimum P100 worth of load per month for 12 months. It also comes with a free TnT SIM with Unli all-net texts for 2 days and FREE internet surfing to Facebook, Twitter and Viber for 7 days (To avail, text LIBRE to 4545). The package also includes a Free Sports Watch. By mid January, MyPhone My28 was already sold out due to the overwhelming response. 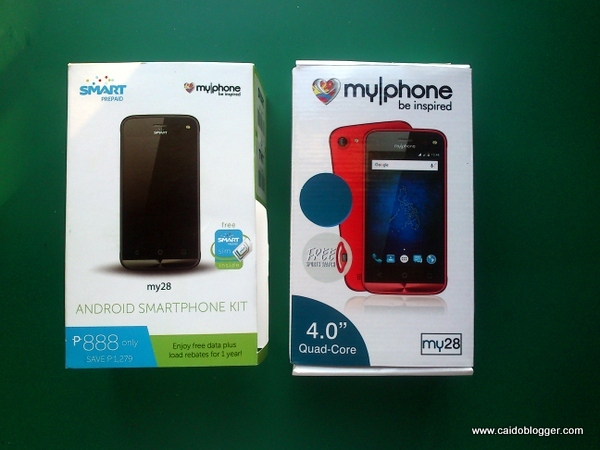 Smart just recently released a new model for the Android Smartphone Kit: the MyPhone My28S still priced at Php888. It also comes with Smart Prepaid SIM with FREE 100MB mobile internet per month for 12 months and P30 load rebate for a minimum P100 worth of load per month for 12 months.